After over three years of planning, Bjarke Ingels Group (BIG) has completed the new home for Noma, an award-winning, Michelin-star restaurant that was named four times as the best in the world by the ‘World’s 50 Best Restaurants’ rankings. 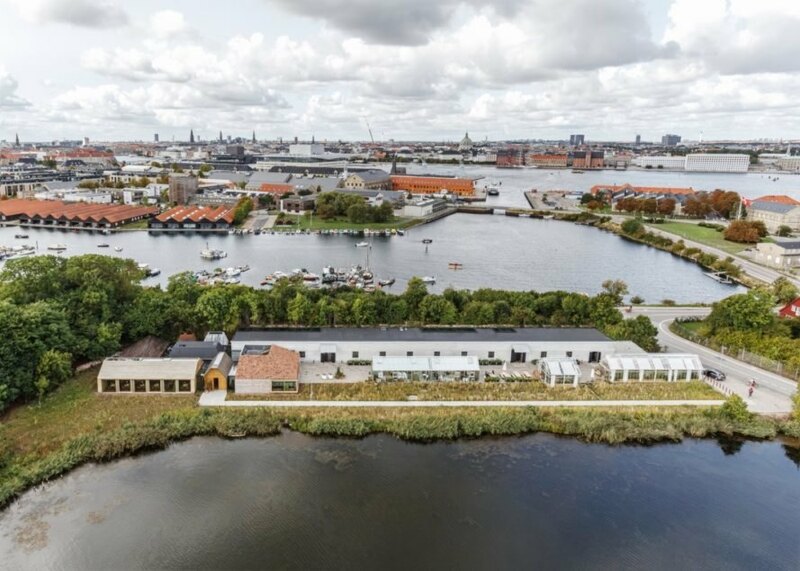 Opened February 2018, Noma’s new restaurant location is just outside of Copenhagen’s city center on a lakefront site near the Christiania neighborhood. 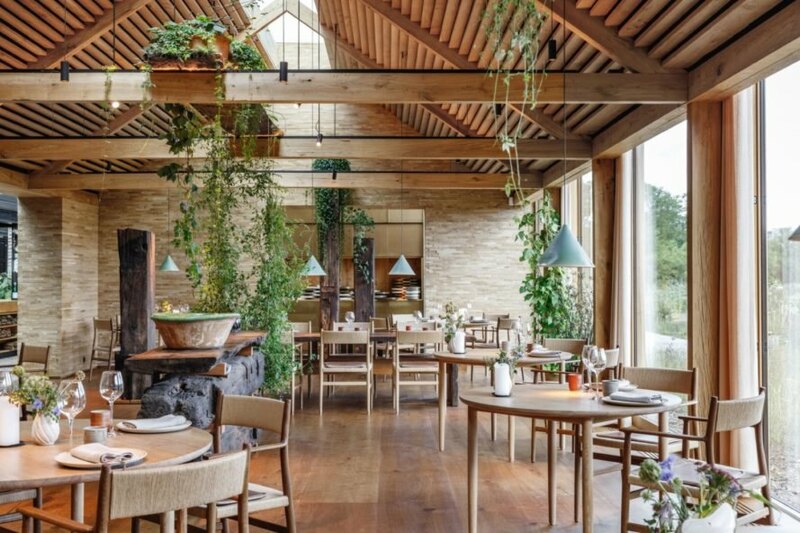 The 14,000-square-foot building is modeled after a garden village that consists of 11 single-story pavilions, each specially designed to realize chef René Redzepi’s vision for seasonal and local New Nordic cuisine. Last year, chef René Redzepi closed his original two-Michelin-starred Noma after 14 years of operation in a 16th century harborside warehouse. 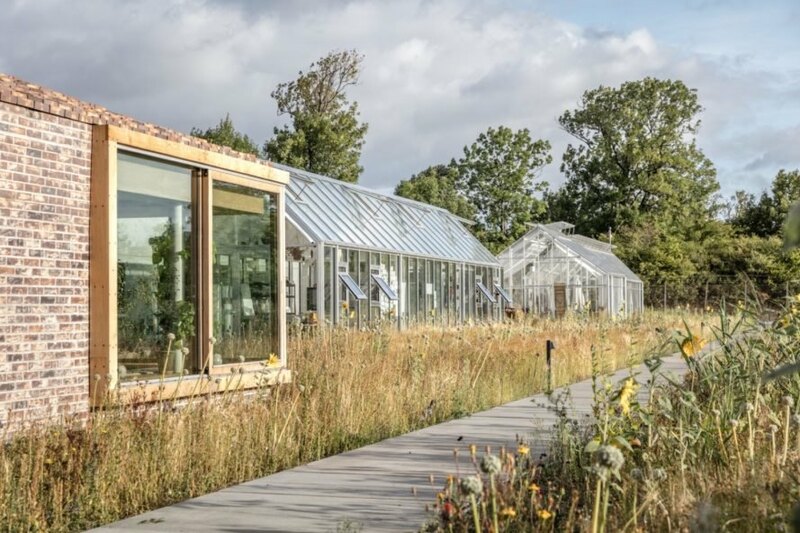 During the one-year closure of his restaurant, Redzepi worked together with architect Bjarke Ingels to sensitively reimagine a new property and an existing ex-military warehouse into “an intimate garden village” made up of a series of interconnected, agrarian-inspired structures centered around the restaurant’s heart: the 600-square-foot kitchen. 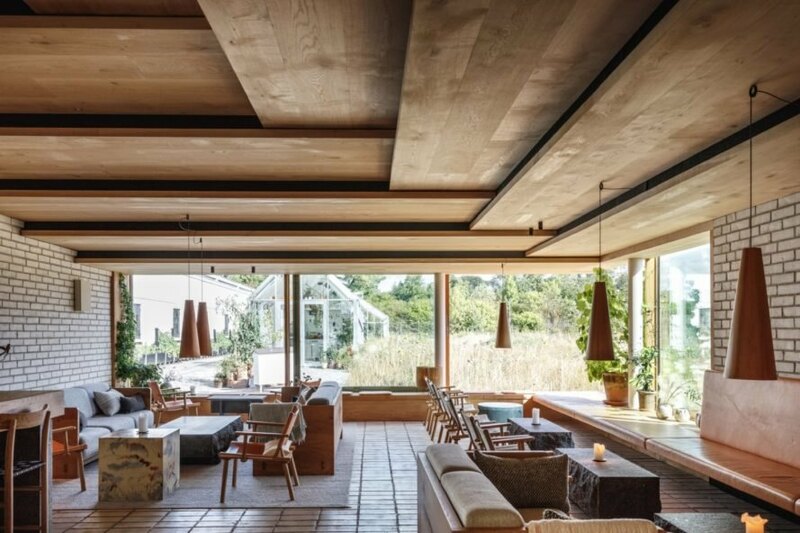 The historic, 100-meter-long concrete warehouse was renovated to house all of the restaurant’s back-of-house functions, including the prep kitchen, fermentation labs, fish tanks, terrarium, ant farm and breakout areas for staff. Three of the new structures are built of glass, with one serving as a greenhouse, another as a bakery and the last as the test kitchen. 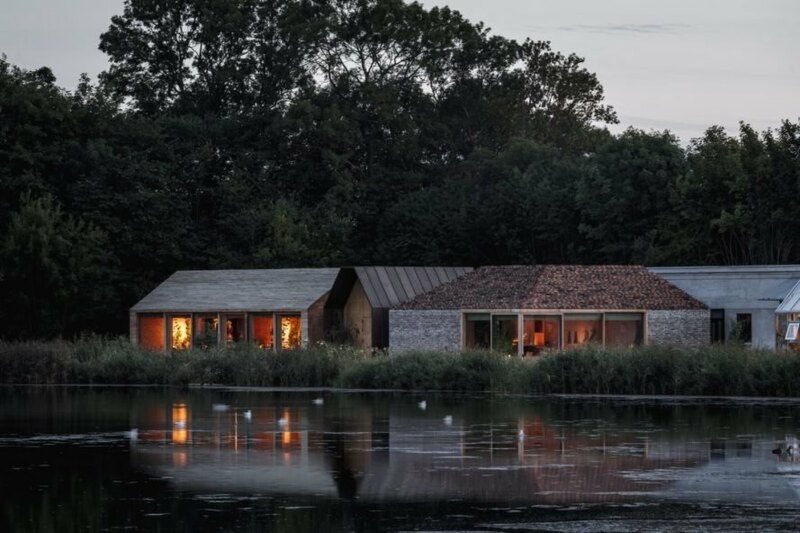 The dining spaces are located in other buildings constructed from a minimalist and natural materials palette that includes oak and brick. BIG has completed the new urban farm for the Michelin-star restaurant, Noma. The site opened in February 2018 in the Christiania neighborhood of Copenhagen. The various structures allow the chefs to integrate seasonality and nature into their dishes. The two-Michelin-star restaurant closed for a year as BIG redesigned Noma's new site. 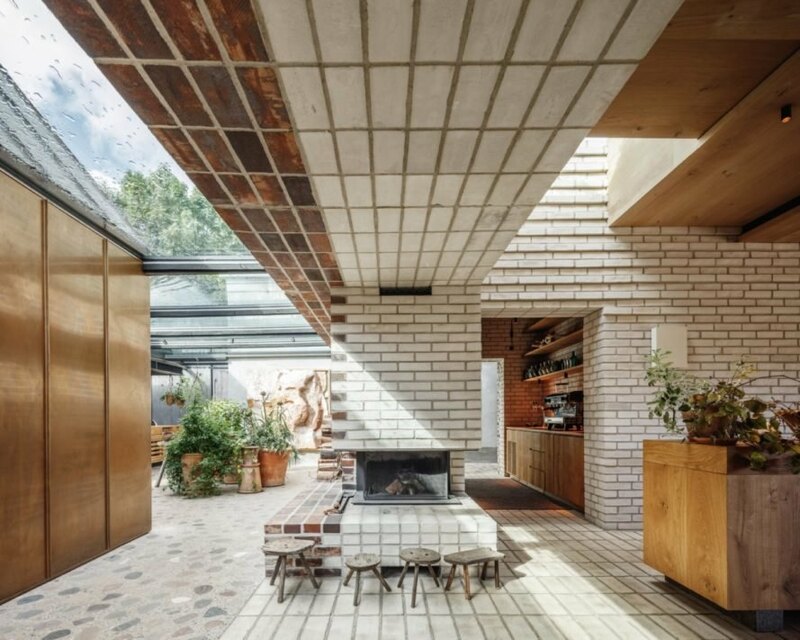 The design follows a natural materials palette featuring brick and oak. Noma now resembles a village. 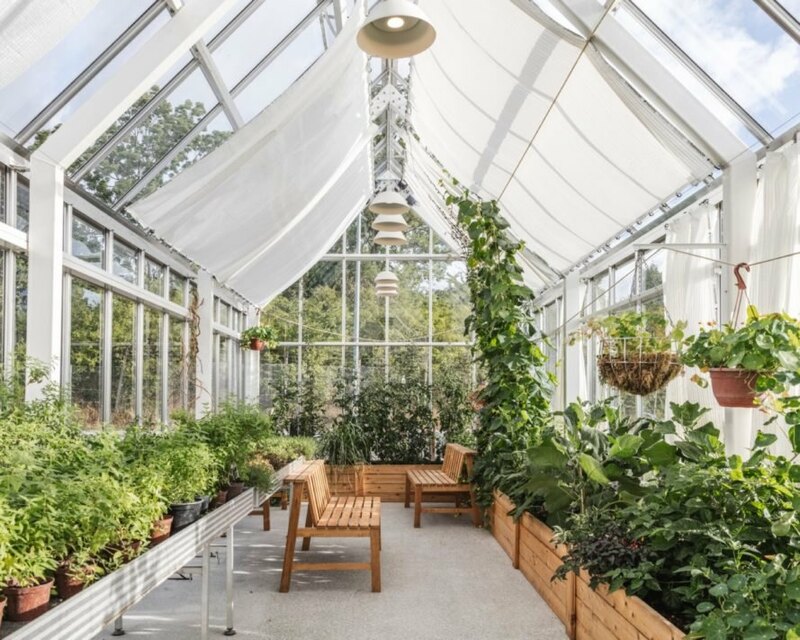 Noma offers a lounge, large kitchen, bakery, test kitchen, greenhouses and more. The property sits in front of a lake. The award-winning restaurant features local, seasonal New Nordic cuisine.